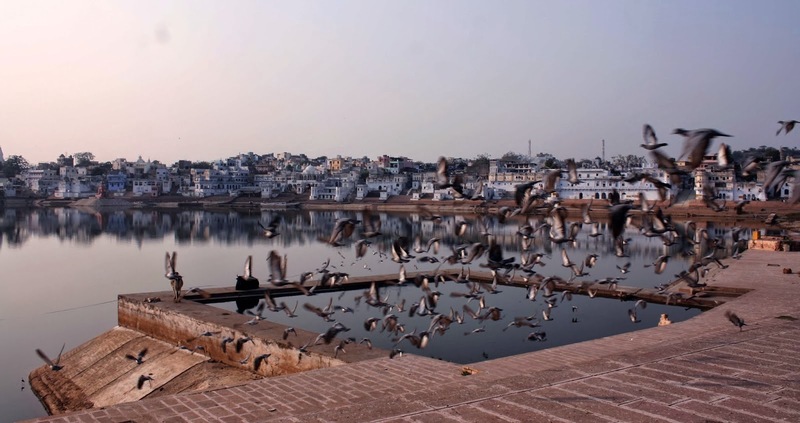 What drove to me visit Pushkar for the first time was the famous Pushkar Lake and the numerous cafes that were more popular for their unusual names—such as Pink Floyd Cafe, Rainbow Cafe and Funky Monkey Cafe—than anything else. But what came as a pleasant surprise, especially to my pocket, was the incredible shopping experience. The vibrancy of the colourful state of Rajasthan is beautifully portrayed in the clothes, accessories and handicrafts available here. You can soak into the rich culture by donning the traditional garb complete with elaborate embroidery and silver jewellery, or you can go for a bohemian hippie girl look and choose from the abundance of printed kurtas, dhoti pants and a sling bag. What to buy: Clothes, ethnic costumes, silver jewellery, groovy accessories, traditional handicrafts and souvenirs like Rajasthani puppets, pottery, embroidered fabrics and brass utensils among other homeware. The variety in clothes is unlimited. Dhoti pants, culottes, harem pants, kaftans, kurtas, sarongs, tunics, dresses, shrugs and lots more. Fabrics range from cotton and polyester to silk and weaves, such as khadi and jute. Block-printed textiles and tie and dye patterns reminiscent of this region’s local produce are common here. Ethnic jewellery, mainly in silver and oxidised silver, lac bangles, beaded necklaces, funky bracelets and fancy footwear are very popular with tourists. Most of these items come from Barmer and other tribal regions of Rajasthan and have been worked by hand. One of the most spectacular pieces of art to buy from here is the exquisite range of miniature paintings made by local artists. Most of them depict stories of olden days when kings and queens would rule over common folk. There are also a number of leather goods, mesmerising puppets and pottery. 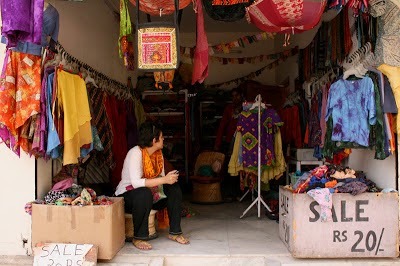 Where to buy: The major shopping areas in Pushkar are Sarafa Bazar, Baza Bazar and Kedalganj bazaar. All the bazaars comprise narrow streets that are often packed with little shops and stalls. Another great place to shop is close to Pink Floyd Café, Choti Basti where everything is for Rs 20 only! Clothes, purses, and a few accessories like head bands. Some of the stuff is old and some new, but if you dig in, you’re sure to find something you like. So stroll around and take your pick. And, do not forget to bargain! I just want to say that you have finally answered the question i have been longing to find out for months and months- where is the best place in india to go shopping? you've said it all- pushkar is a hippies paradise. Will remember this for the trip i am currently planning! Thank you so much!! Sorry for the late reply Charlotte. You are most welcome :) Let me know if there's any more info I can help you with. Rajasthan is known for its Handicrafts, clothes, Jewelry and antiques. The very well known Pushkar Mela gives you a great chance to get everything at one place. This event usually happens in 1st or 2nd week of November where one can also experience camel fair at that time. It would be great if you can share some more pics from Pushkar, that will definitely excite the readers to visit the place.